This graciously designed combine of kundan bangles has been molded from gold plated brass metal. These bangles area unit good for everyday use and as a celebration wear jewelry and area unit obtainable in 3 sizes. This gracefully designed pair of kundan bangles has been moulded from gold plated brass metal. The metal base has been overlaid with magnificent white kundan Read More..stones shaped like circles and teardrops. 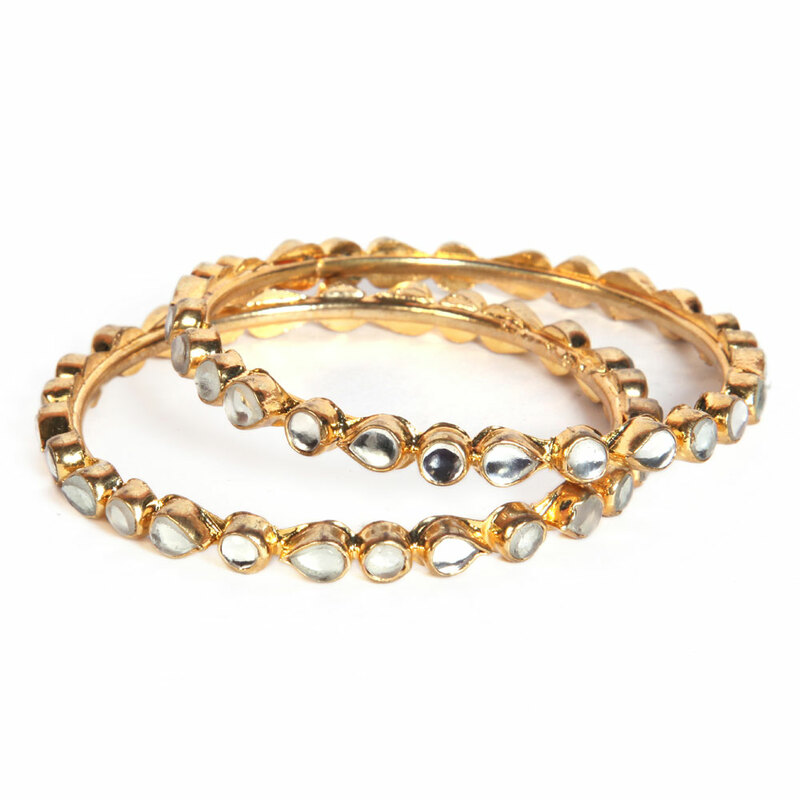 These bangles are perfect for everyday use and as a party wear jewellery and are available in three sizes. Show Less..